Hotel-Pension Sonneneck Zwiesel, Hotel Germany. Limited Time Offer! Hotel-Pension Sonneneck. 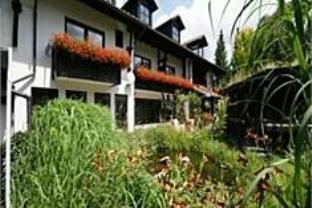 "Hotel-Pension Sonneneck" can be found in Zwiesel. For guests who appreciate getting in some sports practice, this accommodation offers tennis and skiing. After a busy day, the sauna will help you feel refreshed. There is no need to leave the comfort of the residence for dinner as there is an onsite restaurant. Breakfast is served in the morning to provide you with a good start to the day. You have access to the Internet free of charge.